Isabel Allende is one of my favourite authors. This TED talk is enlightening, imaginative and inspiring. 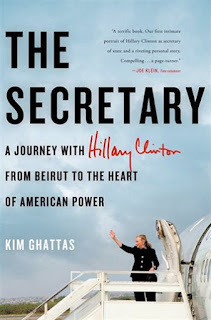 Kim Ghattas, a BBC journalist, travelled with Hillary Clinton, Secretary of State, on her diplomatic trips to the Middle East and Pakistan. 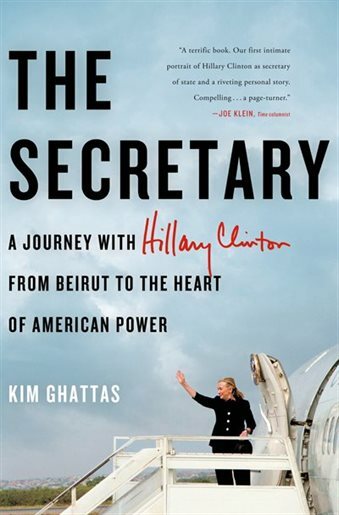 Ghattas describes the nuances of travelling with the Secretary. Also, she captures the "behind the scenes" scenarios of each trip, the endless hours of travel and sometimes with very little rest or sleep in between these trips. Ghattas, who was born and raised in Lebanon, describes the two sides of the coin, i.e. her thoughts of America while living in Lebanon and then compares it to what she is experiencing, as a BBC journalist, through a very different lens. She is able to witness and analyze the difficulties of being a superpower that tries to keep all countries on an even keel. The author includes historical facts of the countries visited on this diplomacy journey. It brings a very good perspective of what America is trying to achieve in each of these countries. The reader gets a great view of how Hillary performs and her willingness to meet and spend time with the people in each of these countries. 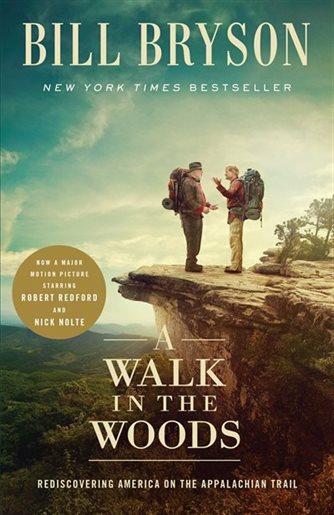 It becomes an awe-inspiring reflection of this author's journey with the Secretary. On a personal note, The Secretary is a page turner. Ghattas has a compelling style of writing with a genuine goal of describing the realities of the challenges that America faces in its foreign policy development and delivery. Unbowed: A Memoir by Wangari Maathai is an extraordinary life story that takes the reader from Maathai’s childhood in rural Kenya to being a Nobel Laureate. Her continual optimism is evident throughout; whether she is walking through open doors of opportunities or confronting umpteen stumbling blocks. She persists and focuses on her goals. Her indomitable spirit rings through every action she takes to achieve her goals. Maathai’s quest to save Kenya’s green space, by planting one tree at a time, led to her founding the Green Belt Movement. She empowers women to become active and create groups that would plant trees in their neighbourhoods. She becomes involved in the political arena, and against all odds strives to restore democracy in Kenya. Despite the prevailing issues as described by Mathaai, Kenya is a democratic country with timely elections. In a stoic and graceful manner, she withstands the many challenges, some of a violent nature, from the Kenyan Government and persists in her raison d’etre to ensure the greenery of Kenya, equality for women, and good governance in Kenya. Unbowed: A Memoir is a captivating life story from which many lessons can be learned, including the power of perseverance in order to achieve one’s goals and having the passion to make a dream a reality. Maathai illustrates how she did it. It is an excellent read. 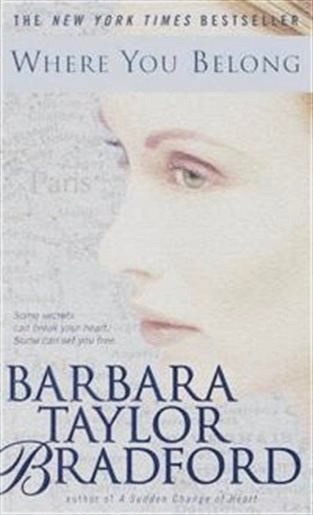 For all its final aborted promise, this slender sequel to How I Grew (1987), left unfinished at McCarthy's death in 1989, vibrates with the wicked wit and moral astringency that made the author a giant of American belles-lettres. If How I Grew covered the birth of her intellectual consciousness, this volume details the birth of McCarthy's career as a writer--practicing her craft as a twentysomething, Waspish book and theater critic at Partisan Review while accumulating the experience that would nourish her later career and quarrels (including her decisive break with Stalinism and the sequel encounter that inspired ``The Man in the Brooks Brothers Suit''). 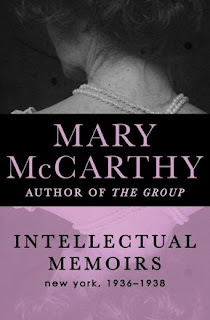 In her fond introduction, friend Elizabeth Hardwick traces McCarthy's tactile re-creation of time, place, and character to her ``somewhat obsessional concern for the integrity of sheer fact in matters both trivial and striking.'' The result, when combined with her familiar mockery of phonies and poseurs, is explosive laughter. Witness incidents about Corliss Lamont, a ``pawky freckled swain'' who unsuccessfully attempted to seduce her; and about a rival for her first husband's affections, ``a yellow-eyed lynxlike blonde given to stretching herself like the cats she fancied.'' Equally incapable of lying about herself--``self-deception always chilled me''--McCarthy recounts how she wrote a politically correct review for fellow-traveler Malcolm Cowley at The New Republic, drunkenly sat on Max Eastman's lap at a party, and slept with three different men within 24 hours. 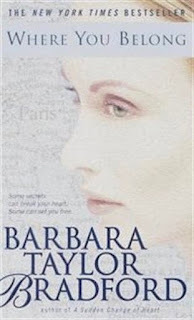 Most of all, she ruefully recalls how badly she hurt her lover, Partisan Review editor Philip Rahv, by embarking on an affair with, and later disastrous marriage to, Edmund Wilson. A small gem, viewing an era of deep political and personal engagement with no tears and a brave heart. My Comments: It was an unusual, yet interesting narrative which depicts Mary McCarthy's lifestyle and her career as a writer. It illustrates bold and transparent sentiments of how she feels and lives in New York from 1936 - 1938. The Snows of Kilimanjaro by Ernest Hemingway is a story about a couple, Harry and Helen, who escape from the lifestyle of the rich and famous in Paris to a hunting adventure near Mount Kilimanjaro. At around twenty thousand feet, and snow-capped this is the highest mountain in Africa. The Masai, the local tribe, call it the House of God. Harry is seriously ill, coping with gangrene festering in his leg. He was pricked by a thorn and did not treat it promptly. Now he lies in a cot awaiting death. Helen loves him dearly and comforts him as much as she can. They cannot go anywhere as their truck has broken down and thus their next option to await a plane to take them to a hospital. In moments of unconsciousness, evident throughout the story, Harry muses about his lifestyle as a writer. He has not done enough and appears distracted by his involvement with rich women and they are boring to him. The conversations between Harry and Helen reveal her love for him and his dislike for her. He lies in the cot claiming that he will die from the gangrene. Towards the end of the story, Harry is dreaming of a plane taking him away to a hospital. But the ending is different. 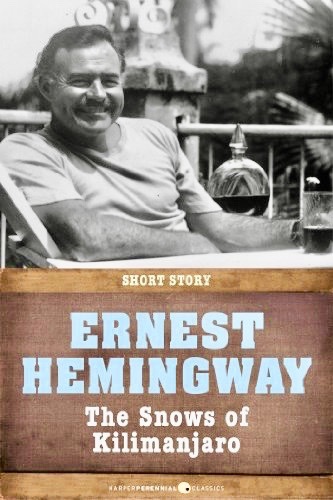 The Snows of Kilimanjaro depicts reflections by a writer on his lifestyle and his incomplete life as a writer. It is a sad story.